Building Materials - Lego, K’nex, wooden building blocks, etc. pipe cleaners, Popsicle sticks, fabric, buttons, origami paper, etc. Thank you for supporting the PW Library! Visit the Library to sign out a book about Black History! October is E-wareness at the PW Library! Mrs. Cann Meets Eric Walters at Telling Tales 2018!!!! 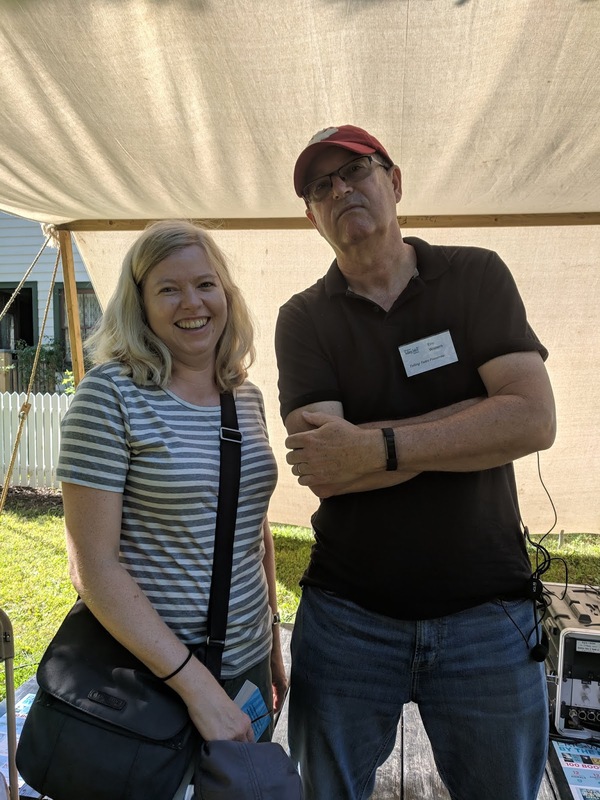 Telling Tales is a fabulous outdoor festival that celebrates reading and Canadian children's book authors. This year I met Eric Walters, Kevin Sands, and Kenneth Opal. 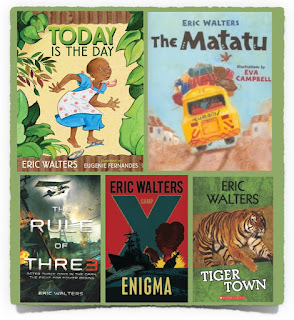 Be sure to check out the great selection of books by these authors in the PW Library. 9. Visit a Library where you are vacationing. Summer Reads collection offers unlimited access? All you need is your Library barcode #. access movies, music and books 24/7? 6. .Read outside. Find a comfy chair in the shade or by a pool or lake. 5. 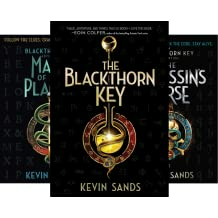 Pick a new series to read. 4. Join the Oakville Public Library Summer Reading Program. 2. Read a comic or graphic novel. 1.Read to someone: a friend, Grandma, Grandpa. brother, sister, pet. 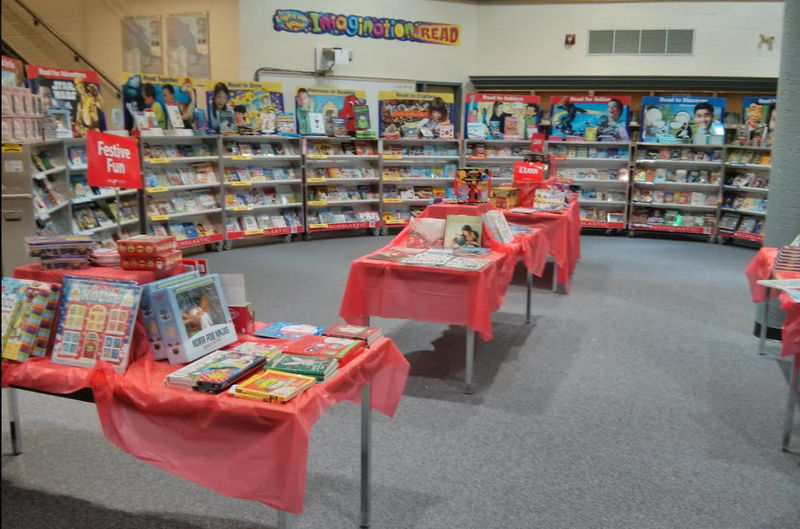 The Scholastic Book Fair is back, bigger and better than ever! 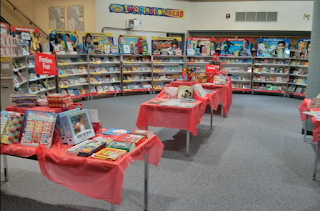 This year the Book Fair is in December to allow students an opportunity to shop for both themselves and for gifts for others such as siblings, parents, grandparents, and teachers. The teachers have created wish lists of books they would like for their classrooms. These lists are displayed at the Book Fair so that students may purchase the books as gifts for their teachers if they wish. 1. Send cash (in an envelope) or cheque (payable to Pilgrim Wood Public School) with your child on Tuesday, Dec.12th (grades 1-4) or Wednesday, Dec. 13th (grades 5-8). 2. Visit the Book Fair from 5:00 - 8:30 p.m. on Thursday, Dec. 14th, which is the evening of the PW Holiday Concert. For every $10 spent at the Book Fair, Pilgrim Wood gets back $6 in profits. THANK YOU for supporting this PW Library fundraising event!